Illegal alien(?) Azzam Ahmad-Raji Baytie was arrested this week after threatening a bomb attack at a North Austin Muslim Community Center. Baytie is also being detained by immigration authorities. 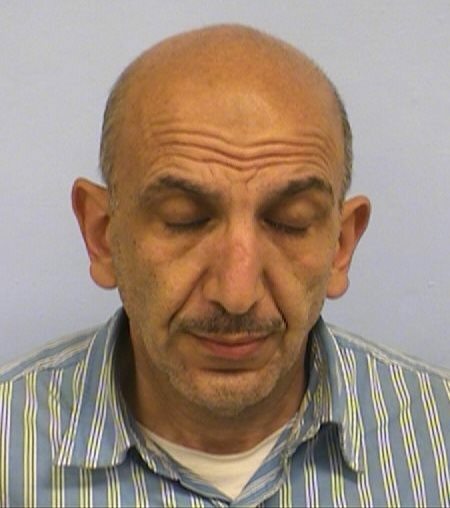 Police say the man behind the bomb threat earlier this week targeting the North Austin Muslim Community Center is Azzam Ahmad-Raji Baytie, 53. He is charged with the third-degree felony of terroristic threat. The two apparent bomb threats came Tuesday morning, including one in the West Campus area. The other was at the Muslim center at 11900 North Lamar Blvd., where police say Baytie indicated there was a bomb in a Ford F-150 Econoline Van. Police say Baytie initially told them there was a van at the International Food Market at 10901 North Lamar Blvd. that was going to blow up. Police say that’s when the had to block off the area around the North Austin Muslim Community Center, not allowing anyone to enter until it was safely cleared of any threat. The Austin Police Bomb Squad responded, found the van Baytie described — which actually belongs to the Community Center — and inspected it, though they didn’t find any explosives. Baytie was previously found guilty of making a terroristic threat and criminal trespassing after a 2008 incident at the same mosque at the North Austin Muslim Community Center. Baytie reportedly told police he had a bomb in his backpack. Authorities scanned the backpack with an X-ray machine and found electronic parts inside, prompting them to destroy the backpack as a precaution. Aszzam Baytie was charged and held by INS but the warrant was withdrawn in February.